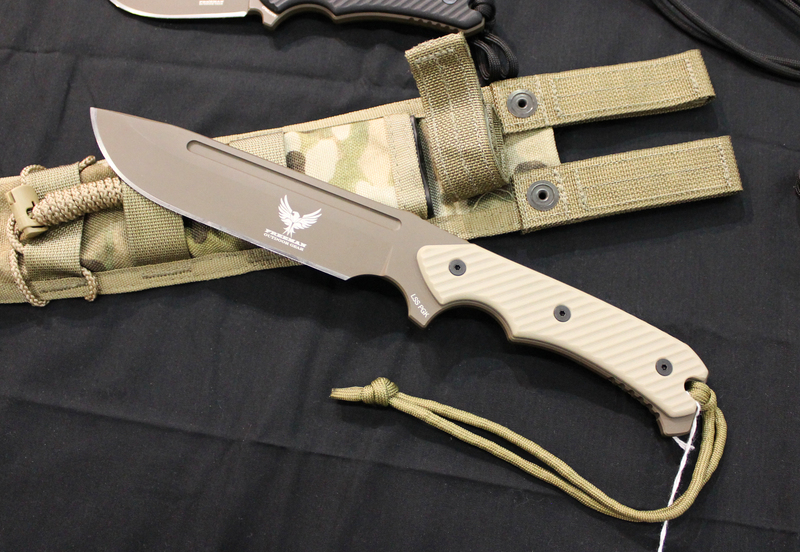 I was immediately drawn to Jeff Freeman’s booth at Blade Show 2014. 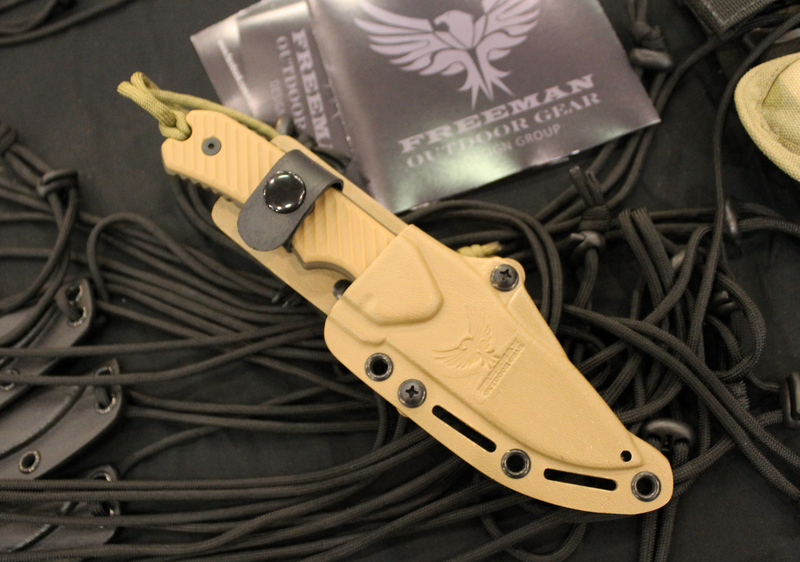 His Freeman Outdoor Gear knives looked just right for first responders. I discovered exactly why when I learned that Jeff is a U.S. Army veteran and a former wildland firefighter. To honor the men and women with whom he worked in the fire service, Jeff named his Model 451 after the radio call sign “451” which was his crew’s. It is coincidentally the ignition temperature at which paper burns, according to the famous Ray Bradbury novel. Regardless of the reasoning, these are some hot knives. The standard and compact 451 are full tang CPM-S35VN steel at a RHC of 59-61. Various shades of Cerakote coat the blades. 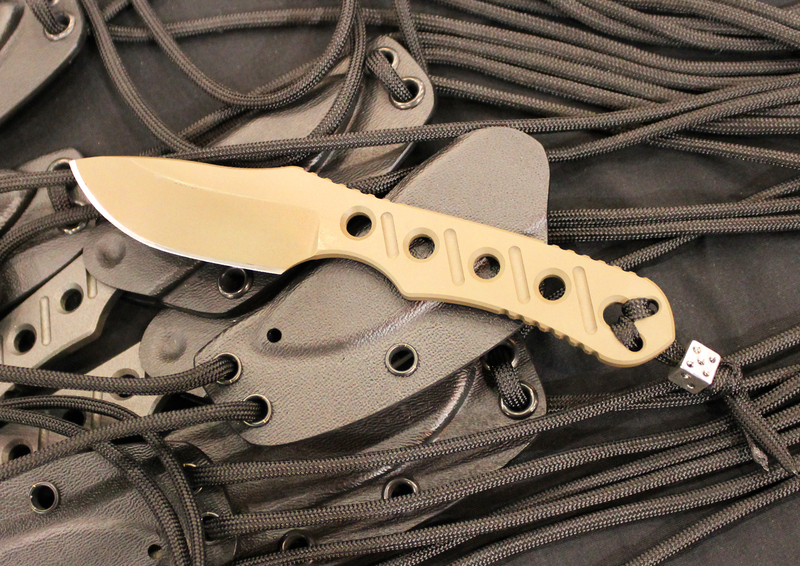 Machined G10 or Micarta handle scales offer the grip. All of the knives have a precision and professionalism about them. And they are Made in the USA. 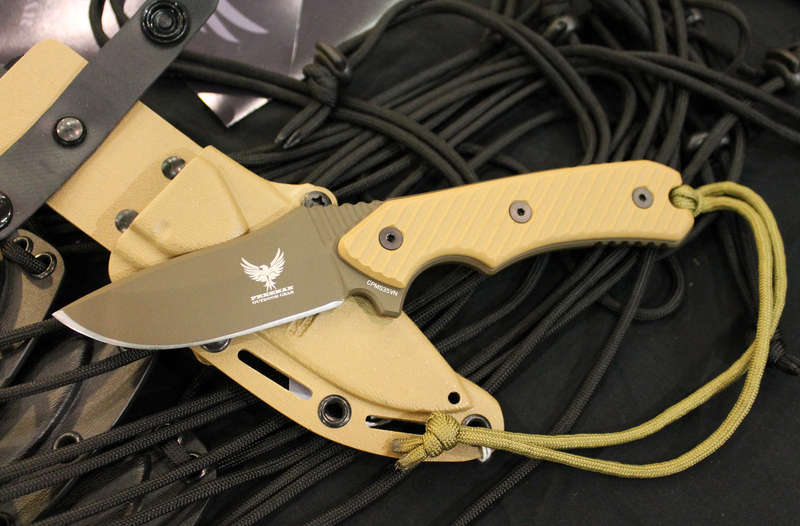 The Model 451 comes in a 2.6″ blade neck knife, compact 3.25″ blade, standard 4″ blade, and a new-for-2014 6.5″ Chopper. 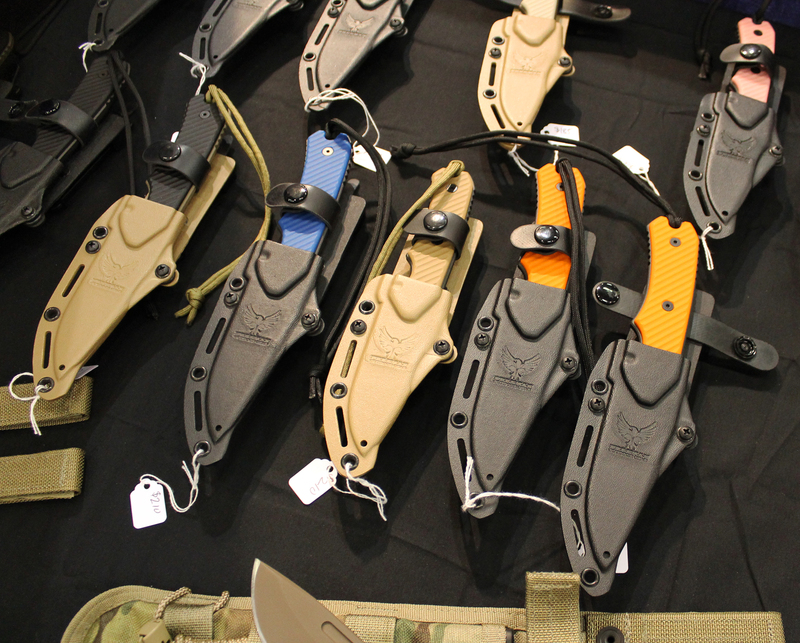 The three smaller knives have a well-fit kydex sheath. 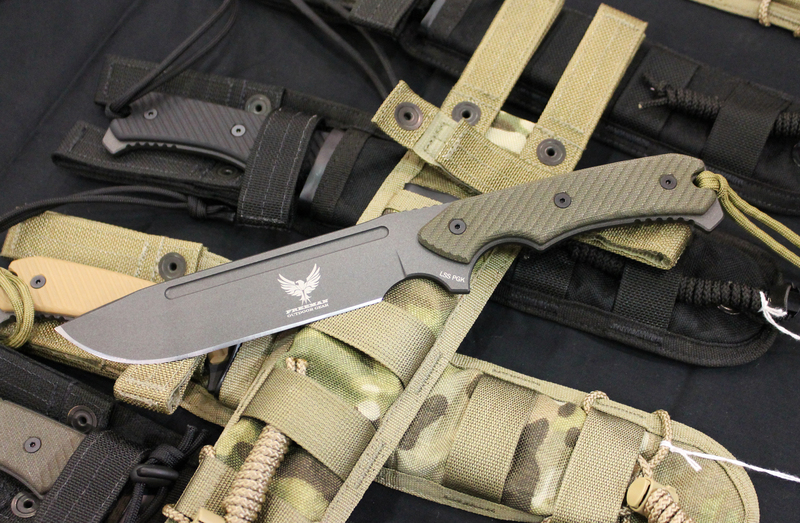 The Chopper comes in a Spec-Ops kydex-lined modular nylon sheath. Blade steel for the neck knife and the Chopper is Latrobe LSS PGK tool steel, which Jeff says is similar in toughness to D2. The construction and design of the larger knife shows much thoughtfulness toward performance and functionality. 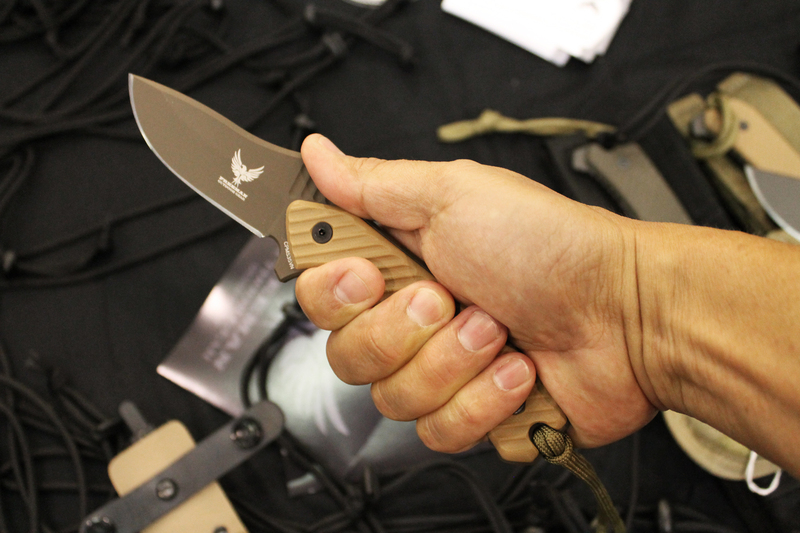 In the hand, the Chopper’s balance is slightly forward, as you would want in a knife of its intended purpose. Design acumen such as this does not develop in a vacuum. Jeff worked as the lead knife designer at one of America’s largest knife companies for over a decade. If you want to read more about Jeff’s thoughts on the 451, click on this link: My Knife Manufacturing Philosophy and the Model 451 Fixed Blade. MSRP for the necker is $55.00. The 3.25″ and 4″ 451’s run $185.00 and $210.00, respectively. The 6.5″ Chopper is $245.00. These are great prices for the excellent materials and design. Freeman Outdoor Gear offers Military/LEO/Fire personnel a discount with proper ID. I would have definitely carried a 4″ Model 451 on my load-bearing vest back in my SWAT days. Had I been involved in more woodland ops or marijuana interdiction, I could see kitting up with the Chopper. These are some great tools by a great knife designer. 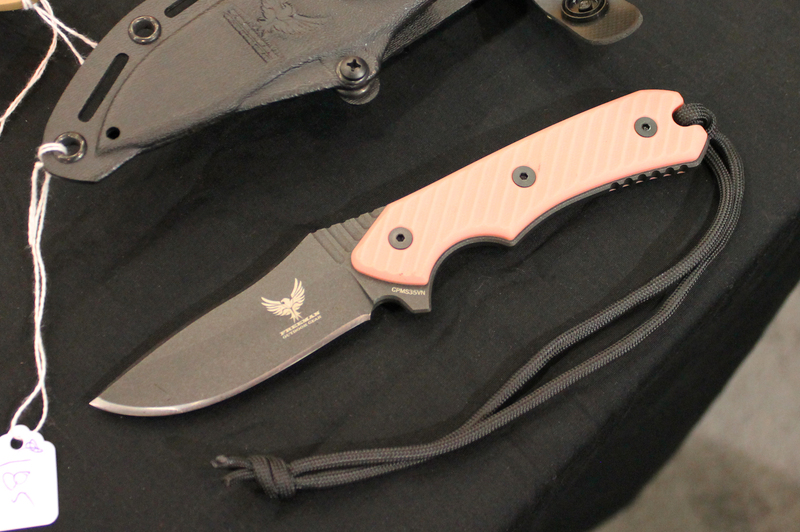 This entry was posted in Knives, SWAT and tagged Blade Show. Bookmark the permalink.